Have you heard about this baby?! 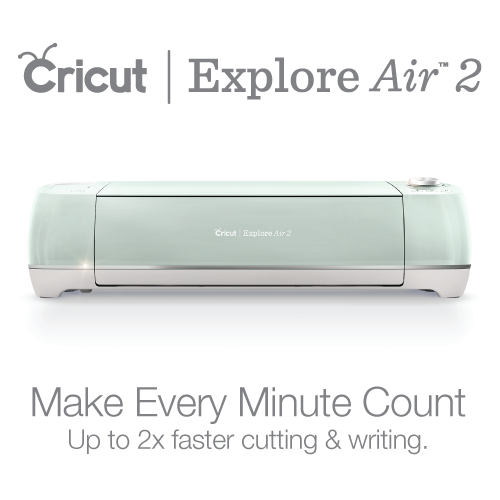 I have the original Cricut Explore and I LOVE it, but I couldn’t believe just how the upgraded model cut. It really cuts twice as fast. Mind blown! Plus my previous machine didn’t have the wireless feature, so I the air! Needless to say…I’m majorly in love and have been using my machine daily. It a great Christmas gift if you are still looking to surprise the crafter in your life. ANYWAY….the mugs were a breeze to make with the CRICUT EXPLORE AIR 2 . The tutorial and FREE SVG file can be found over on the Cricut Blog. The SVG file downloads on the Cricut blog have a problem. The files appear to download but there is a “Failed – Forbidden” message on them, and I cannot move them to any other folders. It seems to be a permissions issue. Are you able to fix this? I really wanted this SVG. Is there anyway to get them to fix it? And where is the Cricut blog?